Mozambique can no longer pay all its debts. The government has called for deferment but anaylsts say that won't suffice. They recommend a partial write-off. Mozambique's government officially declared this week that its public debt levels were unsustainable. In a letter to its creditors, it asked for the deferment of "hidden debts" - a reference to loans totaling 1.3 billion euros ($1.4 billion) which three state-owned concerns had taken out with international banks. The government had kept the existence of these loans secret. When the details were finally exposed, the International Monetary Fund (IMF) responded by freezing payments to Mozambique. This was a severe blow to the southeast African country which has been plunged into an economic crisis by falling commodity prices and the depreciation of the national currency, the metical. Jürgen Kaiser from Jubilee Germany (erlassjahr.de), an NGO which campaigns on behalf of developing countries with unsustainable debt levels, told DW that simply suspending repayments won't be enough to put Mozambique back on the road to fiscal health. "Our assessment is that the country is already insolvent," he said. Mozambique needs to restructure its debts because "the state is not in a position to meet its obligations to its creditors." However, the more important question is which creditors would be affected by such debt restructuring, Kaiser said. The government says public indebtedness this year will climb to 130 percent of GDP. The forecast for economic growth in 2016 has been scaled back to 3.7 percent. Poor growth and a weak national currency are driving the country further and further into debt. Mozambique also has a serious credibility problem having tried to conceal the debts of state-run concerns. However, the government in Maputo has bowed to pressure from the IMF and agreed to an independent probe into the "hidden debts." It should not be left up to the creditors to distinguish between serviceable and unserviceable debt, Kaiser believes. This "presumptuousness" by creditors has kept countries weighed down by debt for 30 years, rather than letting them lift themselves out of debt promptly and inexpensively. The United Nations could run such debt clearance schemes, he added. The campaigners say that partial debt relief would help to rekindle investor confidence in the country, Mozambique was able to regain interim access to capital markets through partial debt clearance between 2001 and 2005. Malaria is preventable and curable, but the mosquito-borne disease still killed 400,000 people in 2017, according to the World Health Organization. Part of the problem is drug resistance. 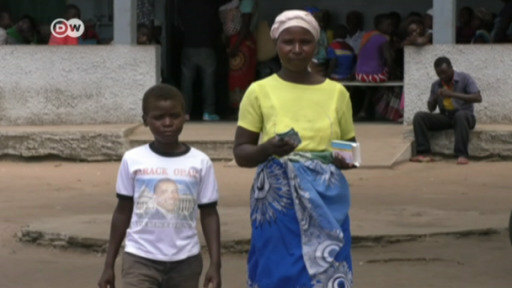 DW's Adrian Kriesch reports on how Mozambique is coping. Mozambique was preparing for another powerful cyclone to make landfall, just six weeks after Cyclone Idai ravaged the country. Cyclone Kenneth has already wreaked havoc in the nearby Comoros islands.